I can not connect to a public Wi-Fi hotspot that does not require a password but instead shows a captive portal pop-up window. 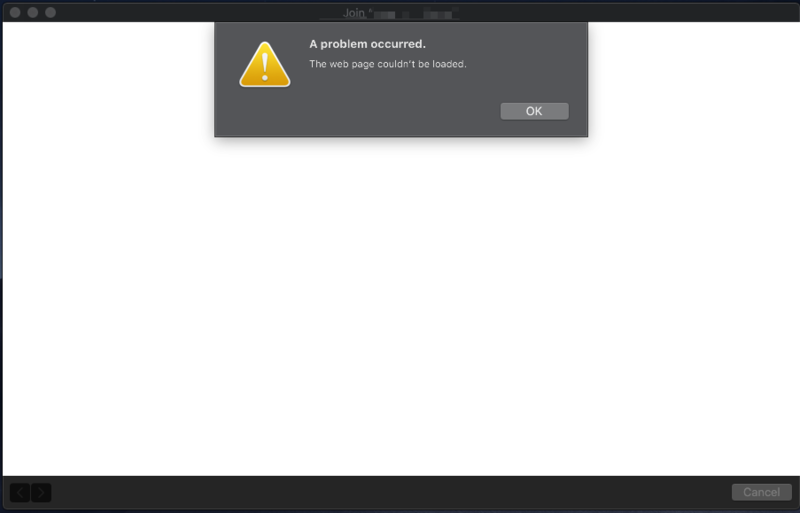 The pop-up opens blank with the error "The web page couldn't be loaded" (like this) This is with Mojave Public Beta (18A314K) on a 2017 15" MBP. I did see this page but the solution there did not work for me. Specifically - When I go to http://captive.apple.com/hotspot-detect.html in Safari (v. 12.0, 14606.1.20.40.3), I just see text in the upper left corner of the webpage saying "Success" (minus the quotes) in an otherwise plain white background. If I open a new tab and try browsing, nothing loads saying there's no internet connection. If I open Chrome (v. 67.0.3396.99 64-bit), I also get no internet connection. How can I tell if I'm getting a valid IP address or if this is a bug in my build that I could work around? Browse other questions tagged macos network wifi beta mojave .